Awarded for exceptional work for Fortune 500® clients. Davidson Berquist Jackson + Gowdey is a full-service intellectual property law firm based in DC. Our lawyers have 15+ years of experience with education in electrical, mechanical, and chemical engineering. Unlike most other firms, the lawyers at DBJ+G are primarily partners. implementation of legal strategies to protect our clients’ business goals. While we practice in all areas of intellectual property law, DBJ+G focuses on complex patent litigation and the procurement of intellectual property rights worldwide. the lawyers at DBJ+G are primarily partners. DBJ+G was founded in 2003 by professionally established lawyers. Brought together by their shared values, dedication to clients and determination to pursue a case to trial, J. Scott Davidson, James D. Berquist and Donald L. Jackson, wanted to create a law firm that directly reflects them and their passions. Since conception, DBJ+G has built a well-respected reputation for their strategic approach and relentless litigation. DBJ+G regularly represents clients in high stakes and “bet-the-company” litigation. Our objective is to put our clients in the best position for trial from the beginning of the case. Our successes can be attributed to creative litigation strategies, thorough preparation, dogged determination, and a willingness to do the work necessary to prevail. We have represented plaintiffs and defendants in multi-defendant actions and in jurisdictions across the U.S. Also, our lawyers have represented clients in popular patent infringement venues, including the Eastern District of Virginia and the Eastern District of Texas. Our firm has litigated patent infringement allegations against the United States in the U.S. Court of Federal Claims. DBJ+G also represents clients in International Trade Commission (“ITC”) Section 337 investigations involving allegations of patent infringement by imported goods, where patent owners seek to exclude allegedly infringing, imported goods from the U.S. market. Our attorneys have represented clients in the following litigation matters. + Avocent Redmond Corp v. Raritan Americas, Inc., U.S. District Court for the Southern District of New York, No. 1:10-CV-06100-PKC. Patent infringement relating to computerized switching systems for remote administration of computers. + Exelis Inc. (formerly ITT Manufacturing Industries, Inc.) v. Cellco Partnership, et al., U.S. District Court for the District of Delaware, No. 1:09-CV-00190-JJF. Patent infringement relating to GPS functionality in cellular phones. + Tempur-Pedic Management, Inc. v. Simmons Bedding Co., et al., U.S. District Court for the Western District of Virginia, No. 2:09-CV-00032. Patent infringement relating to mattress construction. + Avocent Redmond Corp. v. United States, U.S. Court of Federal Claims, No. 1:08-CV-00069-LSM. Patent infringement relating to computerized switching systems for remote administration of computers. + Automated Merchandising Systems Inc. v. Crane Co., et al., U.S. District Court for the Northern District of West Virginia, Nos. 3:08-CV-0097-JPB, 3:03-CV-88, 3:04-CV-48, 3:04-CV-75, and 3:04-CV-80. Patent infringement relating to optical vend detection systems for vending machines. + In Re: Rembrandt Technologies, LP Patent Litigation, U.S. District Court for the District of Delaware, No. 07-MD-01848-GMS. Multi-district patent infringement action relating to cable modem patents. + Avocent Redmond Corp. v. Rose Electronics, et al., U.S. District Court for the Western District of Washington, No. 2:06-CV-01711-MJP. Patent infringement relating to computerized switching systems for remote administration of computers. + L’Enfant Trust v. Capitol Historic Trust, Inc., U.S. District Court for the District of Columbia, No. 1:04-CV-01735-RJL. Trademark/service mark infringement action relating to conservation easement donation services. + Automated Merchandising Systems Inc. v. Fawn Engineering Corp., et al., U.S. District Court for the Northern District of West Virginia, No. 3:04-CV-00007-WCB. Patent infringement relating to optical vend detection systems for vending machines. + Forcillo v. Lemond Fitness, Inc., et al., U.S. District Court for the Western District of Washington, No. 2:04-CV-00848-JLR. Patent infringement relating to exercise bikes. + ITT Manufacturing Industries, Inc. v. Samsung Electronics America, Inc., et al., U.S. District Court for the District of Delaware, No. 1:03-CV-01086-GMS. Patent infringement relating to GPS functionality in cellular phones. + Avocent Huntsville Corp. v. ClearCube Technology, Inc., U.S. District Court for the Northern District of Alabama, No. 5:03-CV-02875. Patent infringement relating to accurate transmission of computer video over long distances. + Automated Merchandising Systems Inc. v. Automatic Products International Ltd., et al., U.S. District Court for the Northern District of West Virginia, No. 3:02-CV-00082-WCB. Patent infringement relating to optical vend detection systems for vending machines. + Moore v. Poser, U.S. District Court for the District of Delaware, 2002. Patent infringement relating to business forms. + Moore v. Standard Register, U.S. District Court for the Western District of New York, 2002. Patent infringement relating to business forms. + Apex, Inc. v. Raritan Computer, Inc., U.S. District Court for the Southern District of New York, No. 1:01-CV-04435-PKC. Patent infringement relating to computerized switching systems for remote administration of computers. + Apex PC Solutions, Inc. v. Cybex Computer Products Corp., U.S. District Court for the Western District of Washington, No. 98-CV-246Z. Patent infringement relating to computerized switching systems for remote administration of computers. + Ericsson, Inc., et al. v. Harris Corp., et al., U.S. District Court for the Eastern District of Texas, No. 4:98-CV-325. Patent infringement relating to (1) integrated circuits used in telecommunication systems, and (2) semiconductor fabrication technology. + Tekmax Inc. v. Exide Corp., U.S. District Court for the District of Oregon, 1995-1996. Patent infringement relating to automotive battery plate stackers. + Hester Industries v. Tyson Foods, U.S. District Court for the Northern District of New York, 1995-1997. Trademark infringement and contempt action relating to “Wing Fling” trademark. + Gencor v. Astec, U.S. District Court for the Middle District of Florida, 1995-1996. Patent infringement relating to commercial asphalt plant and mixers. + Citibank v. Online, U.S. District Court for the Eastern District of Virginia, 1995. Patent infringement relating to telephones for remote banking. + Sitrick v. Nintendo, U.S. District Court for the Northern District of Illinois, 1994-1995. Patent infringement relating to hand held video game. + Quantum Design v. LakeShore Cryotronics, U.S. District Court for the Southern District of California, 1995. Patent infringement relating to measuring instruments. + Haworth v. Herman Miller, U.S. District Court for the Western District of Michigan, 1992-1996. Patent infringement relating to powered furniture panels. + Haworth v. Allsteel, U.S. District Court for the Eastern District of Pennsylvania, 1991-1992. Patent infringement relating to powered furniture panels. + Haworth v. Steelcase, U.S. District Court for the Western District of Michigan, 1989-1995. Patent infringement relating to powered furniture panels. + Allied v. Knogo, U.S. District Court for the Eastern District of Virginia, 1991. Patent infringement relating to amorphous metal security tags. + Holland Sweetener v. NutraSweet, U.S. District Court for the District of Delaware, 1990. Patent infringement relating to Aspartame patents. The results obtained in these matters are not necessarily indicative of the results obtained in other or future matters. preparation, dogged determination, and a willingness to do the work necessary to prevail. We have represented plaintiffs and defendants in multi-defendant actions and in jurisdictions across the U.S. Also, our lawyers have represented clients in popular patent infringement venues, including the Eastern District of Virginia and the Eastern District of Texas. Our firm has litigated patent infringement allegations against the United States in the U.S. Court of Federal Claims. DBJ+G provides trusted advice concerning granted patents, as an adjunct or alternative to litigation. DBJ+G regularly prepares Inter Partes Review (“IPR”) or Covered Business Method (“CBM”) petitions before the U.S. Patent and Trademark Office (“USPTO”) Patent Trial and Appeal Board (“PTAB”) challenging granted patents and prepares patent owner responses defending against such challenges. DBJ+G ranks as one of the most-frequently called-upon firms, of any size, to handle post-grant proceedings. Our experience does not end with challenges before the PTAB, we also handle reexamination and reissue proceedings at the USPTO. DBJ+G provides counseling regarding trade secrets and copyright. In today’s environment, a comprehensive intellectual property strategy draws upon each available means of protection. Trade secret protection and copyright can provide protection even where patent protection is unavailable. Should a trade secret issue lead to litigation, DBJ+G strives to present the often-complicated fact patterns in relatable terms for judges and juries. Our lawyers are familiar with the Uniform Trade Secrets Act (“UTSA”) adopted by many states and the recently enacted Defend Trade Secrets Act, which created a federal action for trade secret misappropriation. DBJ+G procures domestic and foreign patents for clients in an array of technologies. Frequently, we handle ex parte and inter partes reexamination proceedings at the U.S. Patent and Trademark Office (“USPTO”). We also represent clients in the USPTO’s new Inter Partes Review (“IPR”) proceedings before the USPTO’s Patent Trial and Appeal Board. In addition to our domestic prosecution practice, we regularly work with foreign counsel to secure our clients’ patent rights worldwide. the USPTO’s new Inter Partes Review (“IPR”) proceedings before the USPTO’s Patent Trial and Appeal Board. In addition to our domestic prosecution practice, we regularly work with foreign counsel to secure our clients’ patent rights worldwide. DBJ+G secures trademark rights for our clients in the U.S. and foreign countries. We assist with comprehensive strategies for efficiently developing and managing trademark portfolios, and we litigate infringement actions to defend trademark rights. DBJ+G advises on all aspects of intellectual property. We assist in devising and executing comprehensive strategies for maximizing our clients’ IP rights for both offensive and defensive purposes. In addition, we also counsel regarding the valuation of intellectual property for offensive and defensive licensing, purchase, and/or sale. Mr. Davidson is senior counsel in the Firm’s Litigation Group. He has wide-ranging experience in both in-court and out-of-court litigation practices for high-technology clients. He has been rated by his peers with the “AV” rating, indicating the highest level of excellence. The subject matters involved in Mr. Davidson’s multiple decades of litigations have been diverse, and include network switches, asphalt mixers, cellular telephone technologies, Global Positioning Systems, video games, vending machine controllers, office power systems, plate stackers, business forms, sweeteners, amorphous metal security detectors, and others. He has worked with the firm’s clients on computer architectures, communication protocols, analog and digital video switches, control systems, video compression techniques, optical systems, telecommunications, cellular radio circuits, magnetic resonance imagers, semiconductor designs, automotive electronics, video signal compensation algorithms, financial business methods, area networks, database designs, memory utilization techniques, luminance on wafers, electronic monitors and gauges, smart cards, digital and analog signal processors, data security systems, auto-focus systems, diagnostic systems, non-linear signal processors, filters, video game systems, and others. Mr. Davidson is originally from the Gulf coast community of Seminole, Florida. He has an electrical engineering degree from the University of South Florida, where he was inducted into the Omicron Delta Kappa national honor society and the Tau Beta Pi engineering honor society. After school, he was employed as an electrical engineer at Honeywell, designing missile technologies in the Military Avionics Group. He received his law degree from the University of Florida and began practicing law at the 100 year old firm of Cushman Darby and Cushman in Washington, D.C. There, Mr. Davidson became one of the youngest attorneys in the firm’s history to be offered a full equity partnership. Later, he developed a unique law firm business model that he and his fellow founding partners used to start and grow the Davidson Berquist Jackson & Gowdey firm. The firm was recognized as “one of the great litigation secrets in the area of patent law.” He is admitted to practice in Virginia, Florida, and the District of Columbia, as well as before the United States Supreme Court and many other federal courts. Mr. Davidson is recognized as a significant author in the field of intellectual property, especially as it relates to the role of intellectual property in business decision-making. He wrote several articles published by IEEE that forecasted the future of software patenting. He wrote the leading textbook on business management of intellectual property, co-edited a text on Intellectual Property on the Internet, and contributed to a substantial U.S. Patent Practice textbook that was translated and published in both English and Korean. While still a law student, Jay worked as a law clerk at the trial firm of Carson, Coil, Riley, McMillian, Levine and Veit in Jefferson City, Missouri. Following graduation from the University of Missouri-Columbia School of Law in May 1989, Jay became an associate, and later partner, in the Washington D.C. intellectual property law firm of Cushman, Darby & Cushman. Upon the merger of Cushman and Pillsbury in 1996, Jay became a partner in the law firm of Pillsbury Madison & Sutro (now Pillsbury Winthrop). While at the Cushman/Pillsbury firm, Jay worked on, and was lead attorney in, a number of patent infringement cases. Jay also lectured at various CLE Seminars on the subject of patent litigation and patent damages. Don Jackson is a founding partner of Davidson Berquist Jackson & Gowdey, LLP. Mr. Jackson has more than 14 years of experience in all aspects of patent law, including patent litigation, client counseling, patent prosecution, and trademark litigation. Mr. Jackson’s current practice involves all aspects of intellectual property litigation, with a particular emphasis on electrical, electronic, and computer litigation. Mr. Jackson has served as first-chair on patent infringement actions. He has participated in several Markman claim construction hearings both with and without witnesses. His professional experience also includes prosecuting patent applications, drafting licenses for patents, copyrights and trade secret technology, and analyzing patents for infringement, validity and enforceability. Mr. Jackson has litigated patent infringement cases involving technology as diverse as telecommunications, integrated circuit design and fabrication, computer networking systems and methods, optical sensing systems, biotechnology manufacturing processes, and asphalt production processes and devices. Prior to founding DBJG, Mr. Jackson was a partner in an intellectual property law firm also located in Arlington, Virginia from 2000 through March 2003. After graduation, Mr. Jackson worked for defense contractor in Baltimore, Maryland involving advanced airborne radar, sensing and surveillance systems. Prior to joining Davidson Berquist, Mr. Gowdey practiced all aspects of intellectual property law for both domestic and international clients. Mr. Gowdey has extensive experience litigating intellectual property cases before juries in the federal court system, as well as cases at the International Trade Commission. He has argued before the Supreme Court in Holmes v. Vornado, a case dealing with the jurisdiction of the Court of Appeals for the Federal Circuit (CAFC), and has an appellate practice including numerous arguments at the United States Court of Appeals for the Federal Circuit, as well as the 4th, 5th and 10th Circuits. Peter also has extensive experience in developing intellectual property strategies, client counseling, conducting intellectual property audits and valuing intellectual property rights, and in developing and obtaining intellectual property rights for clients. Mr. Gowdey was an Examiner in the electrical arts with the U.S. Patent and Trademark Office and, between 1970-75, was Associate Patent Counsel with Burlington Industries, Inc. where he specialized in licensing and related negotiation efforts, patent litigation and prosecution in mechanical, textile and machinery control areas. Since 1975, Mr. Gowdey has litigated in a variety of areas including: various automotive components, polyurethane foam, textile products and processes, solid state devices, control systems including circuitry, pharmaceuticals and a variety of manufacturing processes. Mr. Gowdey has lectured on a variety of patent and patent litigation subjects for a number of years in the United States, Japan and Europe. 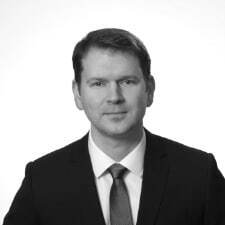 Mr. Gowdey has been a lecturer with the Patent Resources Group (PRG) having developed and lead the Patent Litigation Course, as well as counseling at the Advanced Patent Application and Amendment Writing Workshop. He has also lectured on patent litigation at the Georgetown University National Law Center, and on international trade at George Washington University. He has been an Adjunct Professor at the George Mason University School of Law since 1995 where he teaches patent litigation. J.D., Union University’s Albany Law School, 1968. B.S., Clarkson University (Mechanical Engineering), 1965. Admitted: New York, North Carolina and District of Columbia bars; U.S. Court of Appeals for the Federal Circuit and other courts. Member: Bar Association of the District of Columbia, American Bar Association, American Intellectual Property Law Association, International Association for the Protection of Industrial Property; past president of the Washington Patent Attorney’s Association. He also regularly attends the Asian Patent Attorney Association (APAA) meetings as a sponsored guest. 2001 to 2003 Shook, Hardy & Bacon L.L.P. Wayne shares his expertise in inter partes review on his blog, IPRpetitiondenied.com, through which he has analyzed and commented on dozens of granted and denied IPR petitions. His areas of technical specialty include telecommunications and telecommunications standards, graphical user interfaces (GUIs) especially for cellular devices including smartphones and tablets, augmented reality for smartphones and tablets, semiconductors, light-emitting diodes (LEDs), display panels and driving circuits for liquid crystal display (LCD) panels and organic LEDs (OLEDs), power management and power supply systems, business methods including crowdsourcing technology, mechanical systems, and code division multiple access (CDMA) spreading technology. Wayne is admitted to practice before all state-level courts in Virginia and before the U.S. District Court for the Eastern District of Virginia, the U.S. Court of Appeals for the Federal Circuit, and the United States Supreme Court. He frequently practices in federal court in Texas, Illinois, Florida, California and Texas. Wayne is a registered professional engineer, licensed by the State of Rhode Island. He also served as an engineer and officer in the U.S. Coast Guard for eight years while attending law school on a full scholarship. 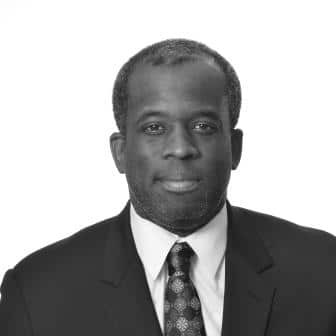 Walter Davis is a partner with Davidson Berquist Jackson & Gowdey. Walter has over 20 years of experience as an intellectual property professional, including more than 15 years of law firm experience and 6 years of experience as a patent examiner at the U.S. Patent and Trademark Office (PTO). Walter’s practice consists primarily of patent, trade secret, and other intellectual property litigation, inter partes and post-grant reviews, patent studies and counseling, and patent preparation and prosecution. He has experience before many courts, including various federal district courts and the U.S. International Trade Commission (ITC). Representative technologies for his cases include smartphones, lighting control systems, consumer appliances, processor technology, software, liquid crystal display devices, plasma display devices, semiconductor design and fabrication, medical imaging systems, battery chargers, computer hardware technology, Internet technology, telecommunications, business methods, and pharmaceuticals. Walter’s wide-ranging experience enables him to provide a full range of intellectual property services for his clients. Walter has extensive experience managing the day-to-day operation of intellectual property litigations and developing and implementing litigation strategies. In his prosecution practice, Walter has written and prosecuted countless patents in a wide range of technologies, including among others, computer architecture, microprocessors, instruction processing, processing control, storage access and control, computer networks, telecommunications, operating systems, and electronic commerce. Walter uses his litigation expertise to help him attain patents for his clients that can better withstand the rigors of a patent infringement suit. Walter is frequently invited to speak in the U.S. and abroad about a wide range of topics. He earned a B.S. in Electrical Engineering from Cornell University and a J.D. from George Washington University Law School, with honors. Directly after graduating from Cornell, Walter spent 6 years as a patent examiner at the PTO, gaining partial signatory authority before leaving to work for a law firm while going to law school at night. Walter has held multiple leadership positions in the Intellectual Property Section of the National Bar Association, the nation’s oldest and largest association of predominately African American lawyers and judges. He is also a member of the American Bar Association, the American Intellectual Property Law Association, and the Defense Research Institute. Prior to joining Davidson Berquist, Walter was an attorney at the Washington, D.C. office of Axinn, Veltrop, & Harkrider LLP, and the Washington, D.C. office of Finnegan, Henderson, Farabow, Garrett, and Dunner, LLP. 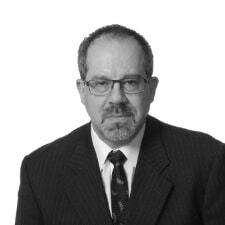 Alan Wright is a partner with over twenty five years of experience as a patent law professional. He began his patent career in 1989 serving as an Examiner at the U.S. Patent and Trademark Office in the art of ceramic materials and processes. Mr. Wright is registered to practice before the U.S. Patent and Trademark Office, and has experience in both patent prosecution and procurement, as well as post-grant proceedings such as reexaminations. He also served as an Attorney Advisor with the Office of Legislative and International Affairs at the PTO before his clerkship with the Honorable William C. Bryson of the U.S. Court of Appeals for the Federal Circuit. For the past twenty years, Mr. Wright has worked at a number of top law firms in the Washington, D.C. area, focusing on patent litigation and counseling. Mr. Wright also worked in industry for a number of years as a process engineer in both the electronic ceramics and fiber optic industries. Mr. Wright holds a B.S. degree in Ceramic Engineering from Alfred University, and a J.D. from American University. He was a member of the American University Law Review, where he served as an editor of its Federal Circuit edition, which follows developments at the U.S. Court of Appeals for the Federal Circuit. Mr. Wright is a member of the bars of Virginia, the District of Columbia, and New York. He is also a member of the bars for the U.S. District Courts for the Eastern District of Virginia, the Eastern District of Texas, and Colorado, as well as the U.S. Court of Appeals for the Federal Circuit. Mr. Wright also has extensive experience before the federal district courts in Delaware, California, and Illinois. Aldo Noto is a partner with the firm and concentrates his practice in the area of domestic and international intellectual property rights, including patents, trade secrets, copyrights, and trademarks, with an emphasis on contested matters. He is a recognized industry leader in software patent portfolios -- the development, procurement, sale, litigation, and licensing of software patent portfolios. 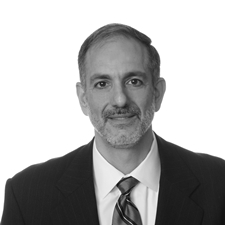 Having worked at highly regarded international law firms, Mr. Noto brings over 25 years of big law firm experience to bear on solving client’s intellectual property problems. His litigation experience includes intellectual property rights litigation in the "Rocket Docket" Eastern District of Virginia, Eastern District of Texas, before the U.S. Patent and Trademark Office and U.S. International Trade Commission, as well as the Court of Appeals for the Federal Circuit. In addition to litigation, Mr. Noto’s work includes patent portfolio development, management and exploitation, licensing, technology agreements, and providing opinions and advice regarding patentability, freedom to practice, infringement, and validity issues. His experience includes both patent prosecution as well as proceedings before the Patent Trial and Appeal Board (PTAB). In 2015 and 2016, Mr. Noto was recognized as a Washington, D.C., “Super Lawyer” by Super Lawyers. He was also named "One of the World's Leading Patent Practitioners" in Intellectual Asset Management magazine's IAM Patent 1000: The World's Leading Patent Practitioners (2014-2015). The presentation of information on this website, or contact with Davidson Berquist Jackson & Gowdey (“the firm”) or any of its attorneys on an unsolicited basis, does not establish any form of attorney-client relationship with the firm or with any of our attorneys. An attorney-client relationship will only be established after the firm decides that it is willing and able to accept the engagement and the firm and the client enter into a written engagement letter. Please understand that any information sent to the firm on an unsolicited basis may not be treated as confidential. Nor will sending an e-mail to the firm generally be considered as a request to take action with respect to the information. Any request to take action or for legal services can only be made by an existing client of the firm contacting an attorney or other authorized representative of the firm who has responsibility for the client’s activities. While we have attempted to maintain the information on this website as accurately as possible, this information may contain errors or omissions, for which we disclaim any liability. Visitors to this website should not take any actions, or refrain from acting, based on information contained on this website without first consulting their own attorney(s). For convenience, we may provide links to websites maintained by certain organizations and agencies. The firm does not necessarily endorse, sponsor, or approve any third-party content that may be accessible in this manner and is not responsible for its content. Upon visiting www.davidsonberquist.com or www.dbjg.com, personally identifiable information about you is not collected unless you specifically provide it to us. Third parties will not be provided any personally identifiable information regarding you except as expressly authorized by you or as required by law. We may use personally identifiable information that you submit to us solely for the purpose of responding to inquiries or requests made by you. We reserve the right to change our Privacy Statement at any time without advance notice. Use of the Davidson, Berquist, Jackson & Gowdey, LLP website constitutes consent by you for our use of your information as described in this Privacy Statement.